This section of Laverton Creek has become a popular site for the community to visit and enjoy, due to the planting work and weed removal that’s taken place in recent years. 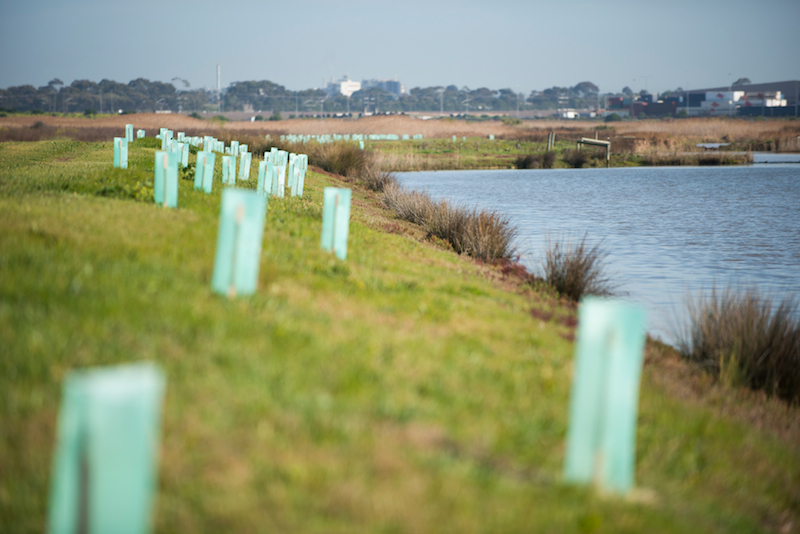 This collaborative project between Melbourne Water, Hobsons Bay and Friends of Laverton Creek brings people together on dedicated community planting days to plant native species along a 50 metre stretch of the creek. Through revegetation and weed control, the project will continue to improve biodiversity and habitat, reduce rubbish dumping and vandalism, and further transform the small reserve into a thriving waterway and attractive recreational space.